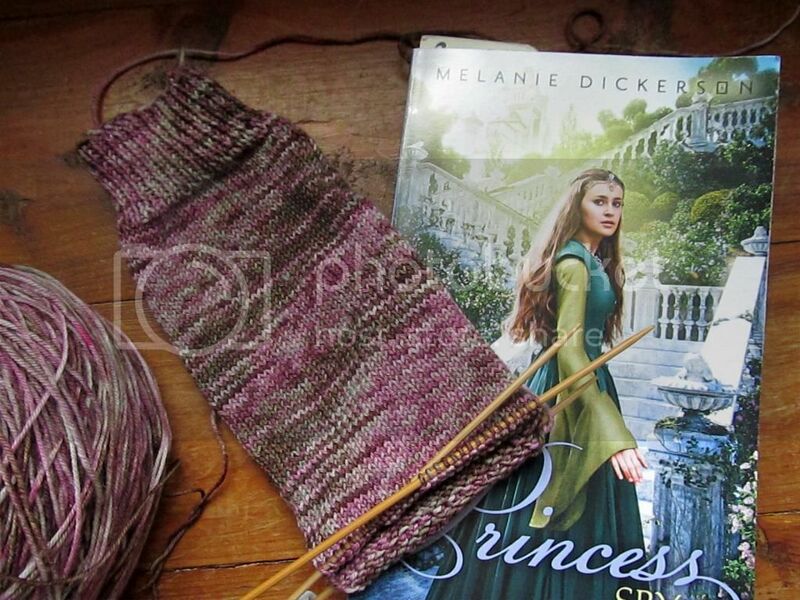 Reading: The Princess Spy, by Melanie Dickerson. I've read the first two of her books and really liked them, and I own the rest but I'm just now getting around to reading another! I'm only about 70 pages in, but it's pretty good so far. I like the fairy tale aspects of her stories. Knitting: A pair of vanilla socks for November. As much as I love the idea of pretty sock patterns, my favorite kind of socks to knit are plain ones. I need something mindless for car and TV knitting! The yarn is from a somewhat local dyer to me, Unplanned Peacock Studio, but I don't know the colorway because it wasn't labeled (I bought it at a yarn shop over a year ago now). I'm currently at the heel flap on the first sock.